Consumer Reports’ latest tests show that some vacuums do a great job picking up pet hair, while others let the fur fly. Keeping floors and carpets clean is a job in and of itself. But if you have a pet that sheds a lot, you have a bigger challenge. Consumer Reports’ latest tests show that some vacuums do a great job picking up pet hair, while others let the fur fly. Testers recently evaluated more than 100 vacuums, including uprights and canisters, bagged and bagless. To size up performance, testers go to great lengths. First, they measure exactly 5 grams of pet hair and spread it over a piece of carpet. Then they use a weighted roller. Next, testers weigh the vacuum and then vacuum for 14 strokes. The vacuum gets weighed again, so that testers know exactly how much hair it picked up. Testers also check the carpet for any hair left behind. And testers measure how much hair gets stuck to the brush. Constantly having to manually clean out your brushes isn’t much fun. In the end, one of your best deals is the $130 Hoover WindTunnel T-Series Rewind UH70120. It’s a bagless upright that offers impressive cleaning and superb pet-hair pickup. 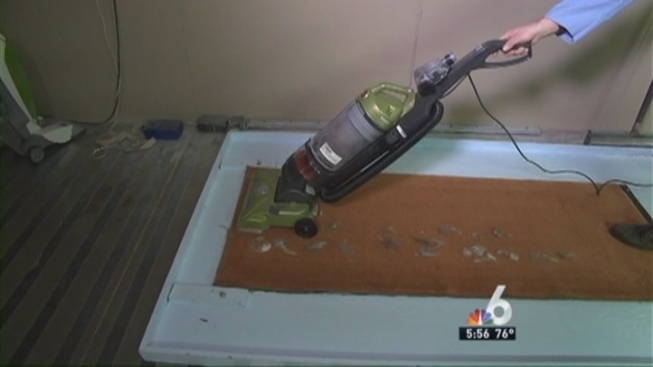 Be aware that emptying any bagless vacuum can be a dusty, messy affair. If you have allergies, a vacuum with a bag is a better choice. Consumer Reports recommends a Kenmore Progressive upright, model 31069. It costs $200 and is available at Sears.